India in South Asia and Cambodia in the Southeast are, in many ways, connected to each other, with common faith playing a big role. 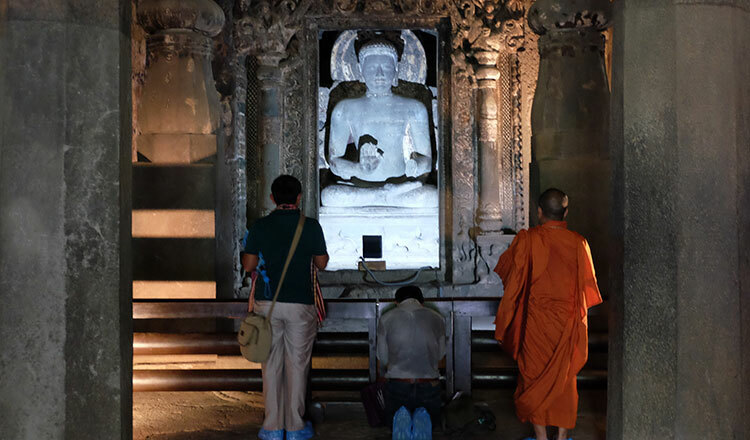 Buddhism, which was born and flourished in India thousands of years ago, found its way to the Kingdom and is now practiced by at least 95 percent of the Cambodian population. Agnes Alpuerto discovers the deep connection of faith of the two storied nations. It is but ironic that India, where Buddhism was born, only has a speck of its population that follows the teachings of the Lord Buddha. Out of the more than 1.30 billion people in the South Asian country, only about 8.5 million consider themselves as Buddhists. That is roughly just 0.7 percent of the total populace. 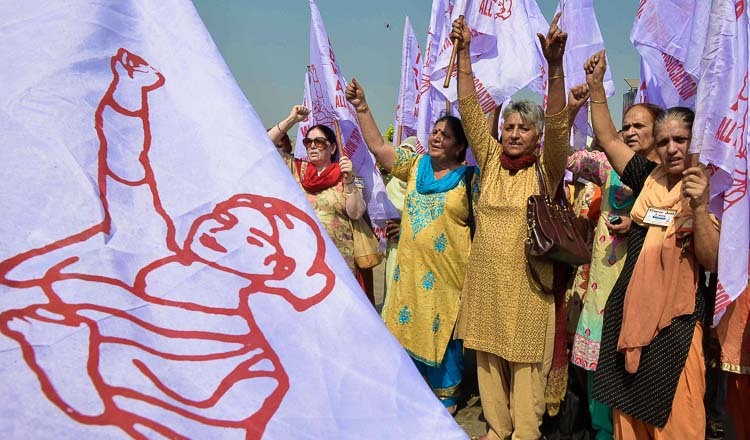 Some studies reveal that there has been a significant decline in this number over the centuries because of varying factors – from sectarian conflicts to socio-political developments – that transformed India and its people. Buddhism has also been competing with other dominant religions such as Hinduism and Jainism, not to mention the growing influences of Islam and Christianity across states. And even during the lifetime of the Lord Buddha, India had already seen urbanisation and centralisation slowly taking form; and the growth and popularity of his teachings were considered to be dependent on the rulers or kings. The progress of material culture – the very thing ancient Buddhism asks its followers to refrain from – also played a role. But despite the setbacks this way of life had gone through since its birth more than 2500 years ago, Buddhism has steadfastly gathered those who firmly believe in it, and it swelled outside the borders of India to neighbouring nations Bhutan, Nepal, China, Thailand, Sri Lanka, Myanmar and farther out. Yes, even to Cambodia. Buddhism –Theravada Buddhism specifically – is the religion of more than 95 percent of Khmers. It became the official religion of the kingdom since the 15th century and has grown more and more recognised, except during the Khmer Rouge when monks were ousted from pagodas and any form of religion was banned. But Buddhism was reborn after the dark era, and its believers rebuilt the temples and held on to the teachings of Buddha to save them from further suffering. 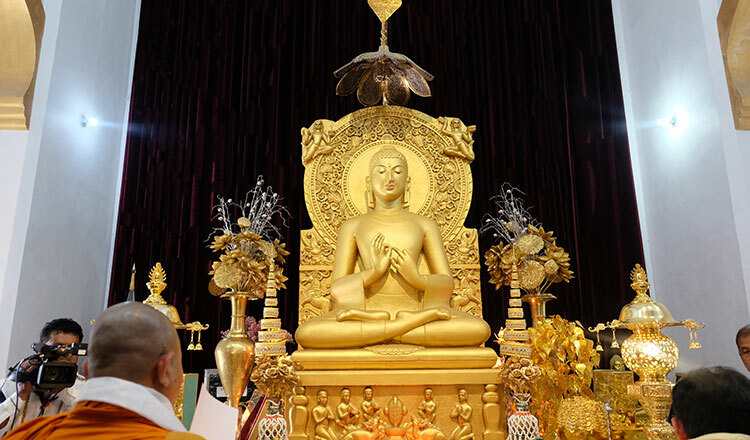 A gold statue of the Lord Buddha – in Dharmachakra Mudra gesture – sits inside Sarnath Temple in Uttar Pradesh. “The teachings of Buddha are the same everywhere; they’re the same in India and Cambodia. The only difference is the local tradition and practices each country has incorporated into Buddhism. But the doctrine is all the same – then until now. The story of Buddha and his life, we believe in the same things,” said Ven. Dr. Khy Sovanratana during last month’s International Buddhist Conclave (IBC) in India. True enough, the images of Buddha in the sacred sites in India – in the states of Maharashtra, Bihar, Uttar Pradesh and in the capital city of New Delhi – are similar to the Buddha statues we can find in local pagodas. They signify the same meanings and are revered the same way in India as they are in Cambodia.Even the Minister of Tourism of India, Ms. Rashmi Verma, reiterated during the four-day conclave that Buddhism strongly binds the culture of India and Cambodia, creating a solid connection between Indian and Cambodian Buddhists who value and follow the path of the Lord Buddha. “We all believe in the words of Buddha. His words continue to inspire millions of people to walk on his footsteps to achieve peace, happiness, harmony and solace. We, Indians, are very much guided by this extraordinary legacy of the Lord Buddha and take pride in it. Same goes with the Buddhist countries, those that were influenced by the faith that originated in this land,” Minister Verma added at the start of IBC on August 23. However, despite the shared beliefs of the two nations and the very fact that India is the birthplace of this common faith, the number of Cambodian Buddhists visiting India for religious tourism isn’t as overwhelming as it should be. “I brought some pilgrims in India years ago – monks and ordinary people, but mostly monks. I have seen that they loved the place and that their devotion had gotten stronger after their visit to the places where Buddha stepped foot into,” continued Sovanratana, who completed his PhD degree in New Delhi and is the current vice rector of the Preah Sihanouk Raja Buddhist University. India’s well-preserved Buddhist sites remain standing, though a few of them have become mere subjects of photography and selfies than a place of devotion and spiritual realisations. Aside from Bodhgaya in Bihar, India also boasts the presence of other sacred Buddhist sites in Maharashtra and Uttar Pradesh – Ajanta Caves, Ellora Caves, Nalanda and Dhamek Stupa to name a few. These places, where Buddha walked, preached and spent most of his life, hold stories of the history and greatness of the world’s fourth largest religion. 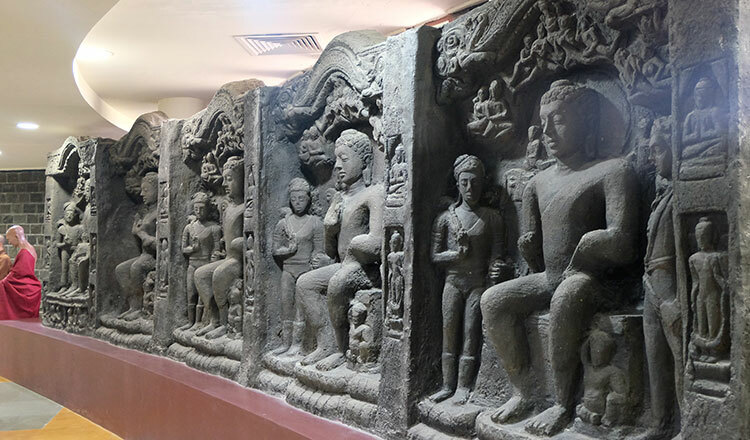 With the creation of International Buddhist Conclave, the government of India fervently hopes that Cambodians and other Buddhists races will re-trace the path Buddha took in India and feel more connected with his teachings. 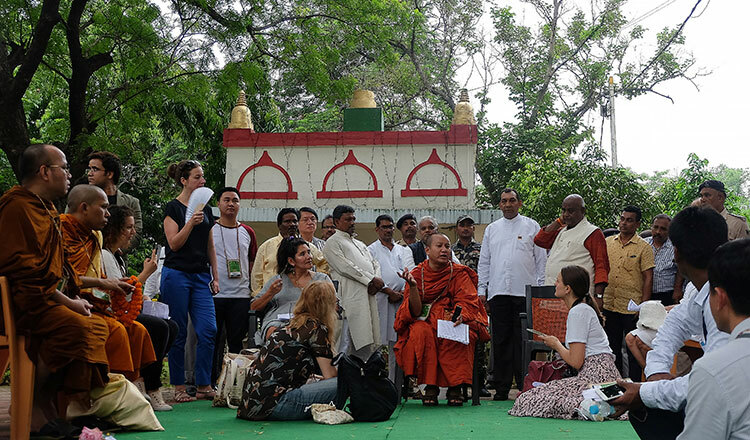 “The government of India now focuses on the promotion of Buddhist tourism and pilgrimage. 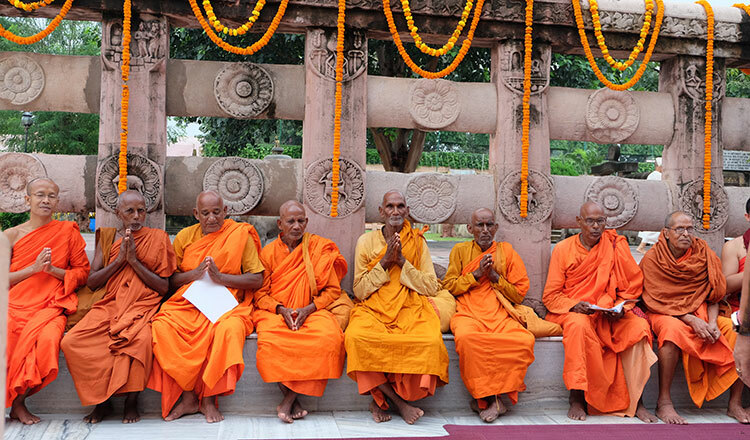 We want to reinforce the initiatives we’ve taken to project Buddhist heritage and pilgrimage sites of India. This is the reason we are hold this International Buddhist Conclave biennially,” explained Minister Verma. 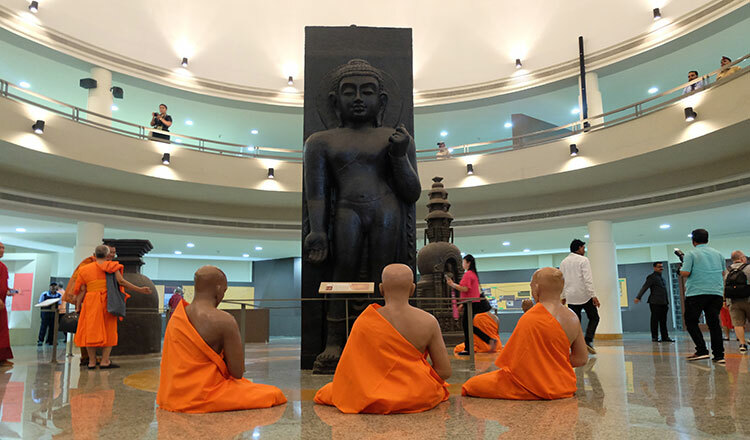 Cambodians, most especially, are encouraged to travel to India even once in their lifetime and see for themselves how the Lord Buddha had walked through different places, spread message of peace, and gave his believers the inspiration of becoming fully enlightened and liberated. All the Buddhist sites promise a religious journey that may, for most, become life-changing. And with Cambodia still reeling from a troubling not-too-distant past that affected the society and the religions practiced by its people, a visit to the “Land of Buddha” may bring them closer to the core principles of the faith – the truth of suffering, the truth of the origin of suffering, the truth of the cessation of suffering, and the truth of the path to the cessation of suffering. Writer’s Note: Part 2 of this write-up will dig deeper on the travel and tour operations between India and Cambodia and how strengthening religious tourism will help boost the ties of the two nations.